Vera Mindy Chokalingam  (born June 24, 1979),  known professionally as Mindy Kaling, is an American actress, comedian, writer, and producer. From 2005 to 2013, she played Kelly Kapoor in the NBC sitcom The Office . In addition to acting in it, she was a writer, executive producer, and occasional director. Recognition for her work on The Office include a Primetime Emmy Award nomination for Outstanding Writing in a Comedy Series in 2010. Kelly Rajanigandha Kapoor is a fictional character from the US television series The Office. She is played by Mindy Kaling, who was also a writer and producer for the show. The Office is an American television sitcom that aired on NBC from March 24, 2005, to May 16, 2013, lasting nine seasons. It is an adaptation of the original BBC series of the same name and was adapted for American television by Greg Daniels, a veteran writer for Saturday Night Live, King of the Hill, and The Simpsons. It was co-produced by Daniels' Deedle-Dee Productions, and Reveille Productions, in association with Universal Television. The original executive producers were Greg Daniels, Howard Klein, Ben Silverman, Ricky Gervais, and Stephen Merchant, with numerous others being promoted in later seasons. Kaling gained wider attention for creating, writing, producing and starring in the Fox/Hulu comedy series The Mindy Project (2012–2017). She was the co-creator, writer, and producer of the NBC sitcom Champions (2018), in which she also had a recurring role. Kaling's film career includes voice work in the films Despicable Me (2010), Wreck It Ralph (2012), and Inside Out (2015); and starring roles in the comedy The Night Before (2015), the fantasy adventure A Wrinkle in Time , the heist-comedy Ocean's 8 (both 2018), and the comedy Late Night (2019). Hulu is an American entertainment company that provides "over-the-top media services". It is primarily oriented towards instant streaming of television series, carrying current and past episodes of many series from its owners' respective television networks and other content partners. Hulu is owned by Hulu LLC, a joint venture with The Walt Disney Company, Comcast, and AT&T. Through the acquisition of 21st Century Fox, Disney acquired Fox's partial ownership, giving it a majority stake when the deal closed on March 20, 2019. A memoir is a collection of memories that an individual writes about moments or events, both public or private, that took place in the subject's life. 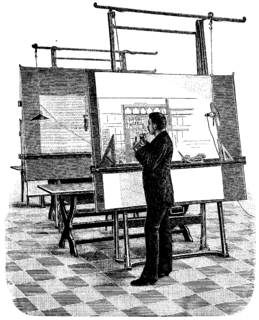 The assertions made in the work are understood to be factual. While memoir has historically been defined as a subcategory of biography or autobiography since the late 20th century, the genre is differentiated in form, presenting a narrowed focus. A biography or autobiography tells the story "of a life", while a memoir often tells a story "from a life", such as touchstone events and turning points from the author's life. The author of a memoir may be referred to as a memoirist or a memorialist. Obstetrics and gynaecology is the medical specialty that encompasses the two subspecialties of obstetrics and gynaecology. The family immigrated to the United States in 1979, the same year Kaling was born. Kaling's mother died of pancreatic cancer in 2012. Kaling has one sibling, a brother, Vijay Jojo Chokal-Ingam, who works as an educational consultant. Buckingham Browne & Nichols School, often referred to as BB&N, is an independent co-educational day school in Cambridge, Massachusetts, educating students from pre-kindergarten through twelfth grade. BB&N is regularly ranked among the top independent schools in the United States. The School has produced three of the 27 Presidential Scholars from Massachusetts since the inception of the program in 1964 and is a member of the G20 Schools group and the Round Square global education association. BB&N includes six Rhodes Scholars among its graduates. In 2012, Kaling pitched a single-camera comedy  to Fox called The Mindy Project, which Kaling wrote and produced. Fox began airing the series in 2012. Kaling notes that she is sometimes described as a pioneer, as there are not yet very many Indian-American women on television. Fox canceled the series in May 2015 but it was later picked up by Hulu for a 26-episode fourth season and a 16-episode fifth season. In March 2017, Kaling announced that the show's sixth season, which would air starting September 2017, would be the last. The series concluded on November 14, 2017. After her film debut in The 40-Year-Old Virgin with Steve Carell, Kaling appeared in the film Unaccompanied Minors as a waitress. In 2007, she held a small part in License to Wed starring fellow The Office actors John Krasinski, Angela Kinsey, and Brian Baumgartner. Kaling starred in the 2009 film Night at the Museum: Battle of the Smithsonian as a Smithsonian National Air and Space Museum tour guide and voiced Taffyta Muttonfudge in Disney's animated comedy film Wreck-It Ralph and Disgust in Pixar's 2015 film Inside Out . In 2011, she played the role of Shira, a doctor who is a roommate and colleague of the main character Emma (played by Natalie Portman) in No Strings Attached . Kaling also made an appearance as Vanetha in The Five-Year Engagement in 2012. In 2017, NBC ordered Champions, where Kaling is a co-creator, writer, and producer. She had a reoccurring guest role on the show, which premiered Thursday, March 8, 2018 on NBC. It was cancelled after one season. Amy Meredith Poehler is an American actress, comedian, director, producer, and writer. After studying improv at Chicago's Second City and ImprovOlympic in the early 1990s, she Co-founded the Chicago-based improvisational-comedy troupe, Upright Citizens Brigade. The group moved to New York City in 1996 where their act became a half-hour sketch comedy series on Comedy Central in 1998. Along with other members of the comedy group, Poehler is a founder of the Upright Citizens Brigade Theatre. Gregory Martin Daniels is an American television comedy writer, producer, and director. He is known for his work on several television series, including Saturday Night Live, The Simpsons, Parks and Recreation, King of the Hill and The Office. All five shows were named among Time's James Poniewozik's All Time 100 TV Shows. Daniels attended Harvard University and he became friends with Conan O'Brien. Their first writing credit was for Not Necessarily the News, before they were laid off due to budget cuts. He eventually became a writer for two long-running series: Saturday Night Live and The Simpsons. Benjamin Joseph Manaly Novak is an American actor, writer, comedian, and director. Novak was one of the writers and executive producers of The Office (2005–2013), in which he also played Ryan Howard. "The Injury" is the twelfth episode of the second season of the American comedy television series The Office, and the show's eighteenth episode overall. The episode was written by Mindy Kaling, who also acts in the show as Kelly Kapoor, and directed by Bryan Gordon. "The Injury" episode first aired in the United States on January 12, 2006 on NBC. 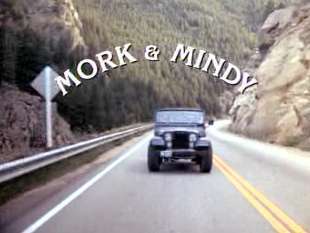 The episode guest starred Marcus York as Billy Merchant. "Hot Girl" is the sixth episode and season finale of the first season of the American comedy television series The Office. The episode aired on NBC in the United States on April 26, 2005. The episode was written by consulting producer Mindy Kaling, marking her first writing credit for the series. The episode was directed by Amy Heckerling, her only directing credit for the series. "Branch Wars" is the tenth episode of the fourth season of the American comedy television series The Office—the show's sixty-third episode overall. Written by Mindy Kaling and directed by Joss Whedon, the episode originally aired in the United States on November 1, 2007 on NBC. The episode marks the return of season three recurring actor Rashida Jones, who plays Jim's former girlfriend Karen Filippelli, now Regional Manager of Dunder Mifflin Utica. The first season of the American television comedy The Office premiered in the United States on NBC on March 24, 2005, concluded on April 26, 2005, and consists of six episodes. The Office is an American adaptation of the British TV series of the same name, and is presented in a mockumentary format, portraying the daily lives of office employees in the Scranton, Pennsylvania branch of the fictitious Dunder Mifflin Paper Company. "Night Out" is the fifteenth episode of the fourth season of the American comedy television series The Office, and the show's sixty-eighth episode overall. The episode was written by Mindy Kaling and directed by Ken Whittingham. It first aired in the United States on April 24, 2008 on NBC. "Night Out" was viewed by a measured audience of over 7.5 million people, bringing in the lowest number of estimated viewers that The Office received among 12 episodes. "Night Out" received mixed reviews from critics. Elizabeth Claire Kemper is an American actress and comedian. She played the receptionist Erin Hannon in the NBC comedy series The Office (2009–2013) and later the starring role in the Netflix comedy series Unbreakable Kimmy Schmidt (2015–2019), for which she has received two nominations for the Primetime Emmy Award for Outstanding Lead Actress in a Comedy Series. Kemper also appeared in the films Bridesmaids (2011) and 21 Jump Street (2012). In 2018 she published her first book, My Squirrel Days. Mathilde "Tig" O'Callaghan Notaro is an American stand-up comic, writer, radio contributor, and actress. She is known for her deadpan comedy. Her acclaimed album Live was nominated in 2014 for the Grammy Award for Best Comedy Album at the 56th Annual Grammy Awards. The special Tig Notaro: Boyish Girl Interrupted was nominated in 2016 at the 68th Primetime Emmy Awards for Outstanding Writing for a Variety Special. In 2017, the album of Boyish Girl Interrupted was nominated for the Grammy Award for Best Comedy Album at the 59th Annual Grammy Awards. The eighth season of the American television comedy The Office commenced airing on NBC in the United States on September 22, 2011, and concluded on May 10, 2012, consisting of 24 episodes. The series is an American adaptation of the British comedy series of the same name, and is presented in a mockumentary format, portraying the daily lives of office employees in the Scranton, Pennsylvania branch of the fictitious Dunder Mifflin Paper Company. The eighth season of The Office aired on Thursdays at 9:00 p.m. (Eastern) in the United States as part of the "Comedy Night Done Right" television block. This was the first season without Steve Carell as Michael Scott in the lead role and the only one to not feature the character in any capacity. 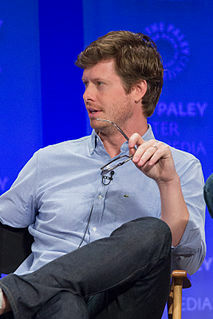 Anders Holm is an American writer, comedian, actor and producer. He is one of the stars and creators of the Comedy Central show Workaholics and starred in the short-lived NBC series Champions. He, along with fellow Workaholics creators Blake Anderson, Adam Devine, and Kyle Newacheck, formed the sketch group Mail Order Comedy. "Garden Party" is the fourth episode of the eighth season of the American comedy television series The Office, and the show's 156th episode overall. The episode originally aired on NBC in the United States on October 13, 2011. It was written by co-executive producer Justin Spitzer and was directed by David Rogers and marks Mindy Kaling's first credit as executive producer. "Garden Party" features a guest appearance from Josh Groban, Dee Wallace and Stephen Collins. "Christmas Wishes" is the tenth episode of the eighth season of the American comedy television series The Office, and the show's 162nd episode overall. The episode originally aired on NBC in the United States on December 8, 2011. It was written by executive producer Mindy Kaling and was directed by Ed Helms in his directorial debut. The episode guest starred Lindsey Broad, Ameenah Kaplan, and Eleanor Seigler. Edward Charles Egerton Weeks is an English actor, comedian, writer and producer. Between 2012 and 2017 he played Dr. Jeremy Reed on the Fox comedy series The Mindy Project. He also starred as Colin on the Fox comedy series LA to Vegas. Josie Jaye Totah, formerly known as J. J. Totah, is an American actress. She is known for her recurring role on the Disney Channel series Jessie and her starring role on the 2013 ABC comedy series Back in the Game. Totah received critical praise for her role as Justin in the 2016 film Other People. In 2018, she starred in the short-lived NBC comedy series Champions. Totah began her career playing male roles but publicly came out as transgender in August 2018, changing her first name to Josie. 1 2 "Mindy Kaling: Television Actress, Writer (1979–)". Biography.com (FYI / A&E Networks). Archived from the original on April 19, 2018. Retrieved April 19, 2018. Additional Archie.is archive on June 25, 2015. 1 2 3 4 5 6 7 8 9 10 Sittenfeld, Curtis (September 25, 2011). "A Long Day at 'The Office' With Mindy Kaling". The New York Times Magazine . Retrieved September 23, 2011. 1 2 "Mindy Kaling Has a New Show Coming to NBC". Time. Retrieved March 9, 2018. ↑ ""I am literally living the dream": Mindy Kaling on overcoming prejudice and finding success". Women in the World in Association with The New York Times - WITW. April 7, 2016. Retrieved September 27, 2017. ↑ Malcolm, Shawna (September 28, 2013). "Thoroughly Modern Mindy Kaling". Parade . Archived from the original on April 17, 2016. Retrieved August 15, 2017. ↑ Rodman, Sarah (September 25, 2012). "Mindy Kaling's mother inspired new TV 'Project'". Boston Globe . Archived from the original on March 9, 2014. Retrieved March 8, 2014. ↑ Coen, Jessica (December 12, 2011). "Mindy Kaling Visits Jezebel, Takes Your Questions". Jezebel . Retrieved January 28, 2015. 1 2 Coen, Jessica. "Mindy Kaling Visits Jezebel, Takes Your Questions". 1 2 "I'm busy having fun: Mindy Kaling". 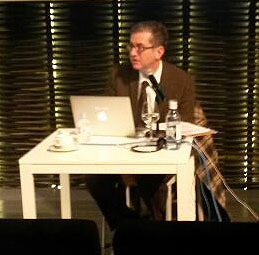 10 October 2013. 1 2 3 Maron, Marc (March 12, 2012). "Episode 261 - Mindy Kaling" (Audio podcast). WTFPod.com. Retrieved January 29, 2015. ↑ "Swati Chokalingam M.D. : Obituary". The Boston Globe . February 2, 2012. Retrieved January 28, 2015. ↑ "Swati Chokalingam - United States Social Security Death Index". FamilySearch. Retrieved January 28, 2015. ↑ Cosgrove Baylis, Shelia (November 12, 2013). "Mindy Kaling: My Late Mom 'Was the Love of My Life'". People . Retrieved February 26, 2014. 1 2 3 Soroff, Jonathan. "Mindy Kaling interview in Improper Bostonian". The Improper Bostonian . Retrieved September 23, 2011. ↑ Dartmouth Staff (June 10, 2001). "List of Graduates". The Dartmouth . Retrieved January 28, 2015. As "Vera Chokalingam"
1 2 3 Swiss, Zach (May 23, 2006). "Kaling '01 embarks on acting, writing career for 'The Office'". The Dartmouth. Retrieved January 28, 2015. 1 2 O'Brien, Conan (November 7, 2012). "Mindy Kaling Was A Conan Intern - CONAN on TBS" (Video interview). Late Night with Conan O'Brien YouTube channel. Retrieved January 28, 2015. 1 2 3 4 Ulaby, Neda (February 4, 2009). "On TV, Immigrants' Kids Mine Cultural Convergence". Morning Edition . NPR . Retrieved February 25, 2013. ↑ Kaling, Mindy (June 28, 2013). "Authors share their all-time favorite summer reads". Time. Retrieved February 20, 2015. 1 2 3 Phipps, Keith (April 4, 2007). "Mindy Kaling - Interview". The A.V. Club . Retrieved January 28, 2015. ↑ Weber, Bruce (August 12, 2003). "Theater Review; Bad Will Hunting, Armed With Venom Darts". The New York Times . Retrieved January 28, 2015. ↑ Kaling, Mindy (January 27, 2012). "Ongoing Concerns". The Concerns of Mindy Kaling. Archived from the original (Blog) on March 6, 2012. Retrieved January 28, 2015. ↑ "The Office Webisodes: The 3rd Floor". OfficeTally.com. November 5, 2010. Retrieved January 5, 2015. ↑ Ausiello, Michael (September 15, 2011). "Scoop: Mindy Kaling Gets Major Office Promotion — But There's a Twist!". TVLine . 1 2 Helms, Ed (April 13, 2013). "The 2013 Time 100 - Mindy Kaling: Comedian and creator, 33". Time . ↑ Soroff, Jonathan (2013). "Mindy Kaling: The star of The Mindy Project tells us about stereotypes and being a smart girl in Hollywood". The Improper Bostonian . Retrieved January 28, 2015. ↑ Ty, Kanara (February 1, 2012). "Fox picks up Mindy Kaling pilot". Asia Pacific Arts. ↑ Martin, Rachel (October 16, 2014). "Mindy Kaling On Refusing To Be An Outsider And Sexism On Set" (Audio interview). Morning Edition . NPR . Retrieved January 28, 2015. ↑ Slane, Kevin (March 29, 2017). "Mindy Kaling's 'The Mindy Project' is ending after six seasons". Boston.com. Boston Globe Media Partners. Retrieved December 28, 2017. ↑ "Mindy Kaling explains why she wanted to tell a more male-centric story with 'Champions'". EW.com. Retrieved March 9, 2018. ↑ "That all-female Ocean's Eleven cast list adds three big names". The Independent . UK. June 10, 2016. Retrieved June 10, 2016. ↑ Itzkoff, Dave (April 22, 2010). "After 'Office' Hours, Mindy Kaling Writes a Book". The New York Times . Retrieved January 28, 2015. ↑ "Mindy Kaling". Mindy Kaling. Retrieved April 1, 2017. ↑ Burton, Summer Anne (February 7, 2014). "35 Times Mindy Kaling And B.J. Novak's Best Friendship Killed You In The Heart". Buzzfeed.com. Retrieved December 28, 2017. ↑ Angelo, Megan. "The Lady Boss: Mindy Kaling". Glamour. Retrieved January 10, 2018. ↑ Pritchard, Dafydd (December 17, 2017). ""Mindy Kaling: US Office star is among Swansea City owners"". Archived from the original on December 18, 2017. Retrieved December 18, 2017. ↑ Redmond, Caroline; Juneau, Jen (December 20, 2017). "Mindy Kaling Welcomes Daughter Katherine Swati". People. Retrieved February 9, 2018. 'The Mindy Project' creator and star welcomed her first child — a daughter named Katherine Swati Kaling — at 10:50 a.m. on Friday, Dec. 15 in Los Angeles, 'People' confirms via the birth certificate. ↑ Heller, Corinne; Passalaqua, Holly (December 19, 2017). "Mindy Kaling Gives Birth to First Child, Welcomes Daughter Katherine". E! News. ↑ "Mindy Kaling (Doctor of Humane Letters) - Dartmouth News". news.dartmouth.edu. ↑ "The Muppets: Single All the Way - Watch Season 1 Episode 10". ABC. ↑ EW Staff (July 31, 2013). "This Week's Cover: The New Hollywood starring Mindy Kaling". Entertainment Weekly . Retrieved January 28, 2015. 1 2 Slezak, Michael (May 27, 2014). "TCA Awards 2014: True Detective Snags Four Nominations; Good Wife, Breaking Bad Land Three Each". TVLine . Retrieved January 28, 2015. ↑ Kaling, Mindy (December 18, 2009). "Unbelievable Holiday Tales: Scripting a Fantasy of a Family". The New York Times . Retrieved January 28, 2015. Wikimedia Commons has media related to Mindy Kaling .